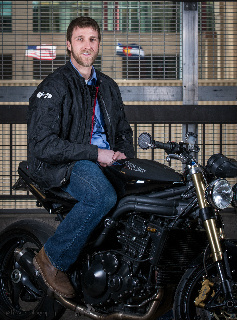 A comprehensive guide of the current laws in Colorado that affect those that ride motorcycles. Knowing the current laws can save you from that extra ticket. PROTECTIVE GEAR: HELMET LAWS, EYE PROTECTION, ETC. Passing or Overtaking: Passing or overtaking a vehicle in the same lane is Illegal in Colorado. Lane sharing or splitting with cars to pass is not permitted on Colorado roads. Lane Sharing: Motorcycles can share a lane or "co-ride" with another motorcycle, but not with cars or trucks. Clinging: As a rider, you cannot attach your motorcycle to another vehicle; i.e. grab onto another motorcycle or vehicle (“towing”). Helmets: Riders above the age of 18 are not required to wear helmets in Colorado. However, if the motorcycle operator or passengers are under 18, they must wear DOT-approved helmets. Helmet use is suggested as they can protect riders from traumatic brain injury in a collision. Eye Protection: In Colorado, some form of eye protection is required for all riders, drivers, and passengers. While the best eye protection comes from a visor on a helmet, goggles or eyeglasses with lenses made from safety glass or plastic are also acceptable. A windshield alone is not considered adequate eye protection. Although not legally mandated, Curtis Walton does recommend the following protective gear for riders: Kevlar helmet with a face shield, motorcycle gloves, and slip free motorcycle boots that cover the ankles. Sound be kept under 84 dBA (Decibels Adjusted) at 50 feet. Footrests: Bikes must be equipped with footrests for passengers; passengers must utilize them. Riding position: Passengers must ride on the seat behind the driver or to the side (i.e. side car), not in front of driver. Age of Passenger: There is no minimum age for passengers, but the passenger must be tall enough to be able to reach the footrests. 4. Does Colorado require eye protection? ANSWER: Yes, eye protection is required by law. 7. What about lane splitting to pass cars or trucks? ANSWER: Not authorized; C.R.S. 42-4-1503 (2) The operator of a motorcycle shall not overtake or pass in the same lane occupied by the vehicle being overtaken. (3) No person shall operate a motorcycle between lanes of traffic or between adjacent lines or rows of vehicles. 8. Does Colorado have Lemon Law Protection? ANSWER: No, unless the “lemon” is a brand-new bike purchased from a dealership. 9. What is my bikes maximum sound level? ANSWER: Maximum allowable A-weighted sound levels based on measurements taken at a distance of 50 ft from center lane of travel, local authorities may adopt following: a) Manufactured before 1/1/73--88dba at 35mph or less; 90dba at 35 to 55mph; b) Manufactured after 1/1/73--86dba at 35mph or less; 90dba at 35 to 55 mph (25-12-107. Powers of Local Authorities). 10. What are Left and Right Mirror requirements? ANSWER: One mirror is required by law; C.R.S. 42-4-226. 11. Can two motorcycles operate abreast in same lane? ANSWER: Yes; All motorcycles are entitled to full use of a traffic lane, and no motor vehicle shall be driven in such a manner as to deprive any motorcycle of the full use of a traffic lane. “This subsection (1) shall not apply to motorcycles operated two abreast in a single lane.” C.R.S. 42-4-1503. 12. Mufflers? ANSWER: Mufflers are required. 13. Are there passenger age restrictions? ANSWER: No. 14. Does a bike have to have Passenger Footrests? ANSWER: Required if carrying a passenger. 15. Does a bike have to have a Passenger Seat? ANSWER: Required if carrying a passenger. 16. Periodic Safety Inspection? ANSWER: Random inspections are permitted by law. 17. What are Colorado Radar Detectors laws? ANSWER: No Restrictions. You are allowed to use in all cases. 18. Can I get a Rider-Education Waiver? ANSWER: Yes, but you must pass a Skill & Knowledge Test from a State Certified Course Provider. 19. Are Safety Helmets Required? ANSWER: Not for riders over the age of 18. However, Colorado law requires persons under 18 who are operators of a motorcycle or motorized bicycle, or who are passengers on such vehicles, wear a protective helmet that is designed according to certain specifications C.R.S. 42-4-1502. 20. Is there State Funded Rider Education? ANSWER: Yes, and it is available for all eligible applicants. 21. State Insurance Requirements ANSWER: Compulsory Liability Liability (Minimum Limits) of 25/50, meaning $25,000 person, with a maximum of $50,000 per accident. Since accident injury damages often exceed Colorado’s minimum insurance limits, Curtis Walton strongly encourages everyone carry ‘uninsured and underinsured motorists insurance’ on their own policies to protect themselves from drivers with too little or no insurance. 22. What about Turn Signals on my bike? ANSWER: Not required.